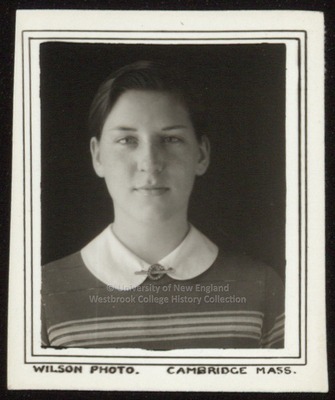 Althea Chase Gould graduated from Westbrook Junior College in 1936. A sixty-page scrapbook given to Althea Gould by her father in 1930 contains Westbrook Seminary and Junior College news clippings, riding programs, activities, dance cards, notes, memorabilia and ephemera for the years 1930 to 1932 and 1934 thru 1936. Althea’s scrapbook also contains forty-five glossy photographs, of which some are formal portraits and others are candid shots. Combined with catalogues, Messengers and commencement brochures, Althea’s scrapbook and photographs provide a rich and encompassing collection with which to look at women’s education during the 1930s.